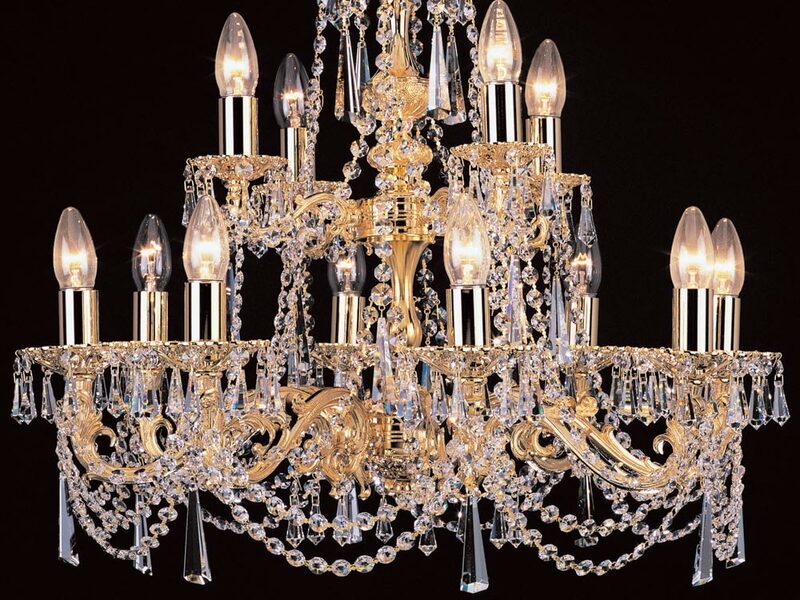 This Impex Stuttgart cast brass 12 light Strass crystal chandelier in gold plate is traditional and stunning. Boasting a circular ceiling cup and chain suspension, with two-tiered gold plated frame featuring eight candle style lights on the lower tier and four on the top. The detailed cast scrolled arms feature filigree candle drips decorated with hanging faceted Strass crystal buttons and drops. The whole chandelier is dressed with a mass of strung faceted octagons and heavy half-spear point drops to create a mesmerising display. 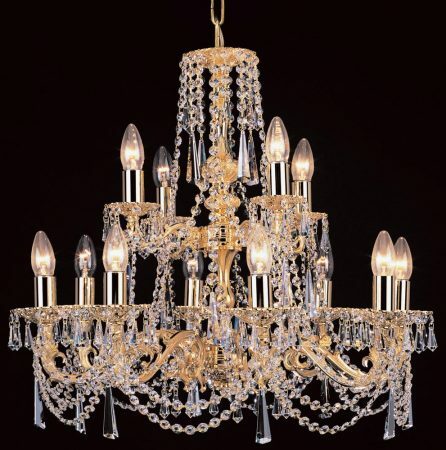 There are coordinating six, eight and fifteen light chandeliers and a double wall light available in the Stuttgart crystal lighting collection that can be viewed below.